The 4.583 units registered last year in Denmark, represented a 261% jump regarding 2017,making it the best year since 2015. 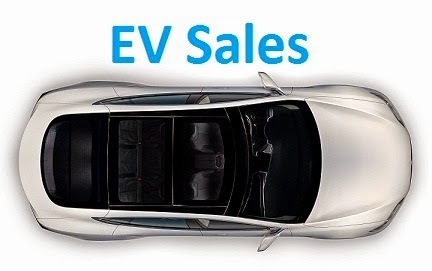 This surge in sales lead to a 2018 PEV share of 2%, slightly lower than the 2.3% of 2015, but a good starting base for this market to go into record levels in 2019. Will it reach 4%? 5%? Unfortunately, a large part of this growth comes from PHEVs, that shooted +449%, while BEVs jumped a more reasonable +111%, resulting in a PHEV share of 68% of all plugin sales, a new all-time high, and a stark departure from the 23% that plugin hybrids had in 2017, a strange case of delayed PHEV-addiction, when most markets across Europe are dropping the PHEV addiction. Finally, the VW Golf GTE benefitted from a great first half of the year to secure a Third Spot, thus making a completely new Podium regarding the previous year, when the Renault Zoe won the title, followed by the VW e-Up! and the Tesla Model X. Looking at the remaining models ranking, the aforementioned Renault Zoe climbed to 4th in the last month of the year, thanks to a Year Best performance in December (121 deliveries). In the Manufacturers ranking, Kia (31%) won the Best Seller award, its first, with Volkswagen repeating last years Second Place (15%), and Nissan (14%) winning to Hyundai the race for Bronze, but nevertheless, the fact that Hyundai was so close to the podium, highlights the rising powers that the Koreans are now. A final note regarding 2019, as this is becoming an unpredictable market and i do not know who will win (Koreans? ), i will only mention my forecast for the Tesla Model 3 in Denmark: 350 units. thanks for your data collection and publication. Regarding your Model 3 estimates: There is a EU community tracker online which collects current orders for the car based on the consecutive invoice number. If this approach is correct, than at least 332 people from Denmark already ordered a Model 3 (LR or Performance Version only). Therefore, your estimate seems quite low. If the Model 3 European order tally is correct then there are already at least 332 Model 3 orders for Denmark making your forecast very very conservative in this case. PHEV-addiction isn't a bad thing if that translates into maximising electric-only travelled distance, like home-work (overnight charged) and work-home (charging at workplace). It allows emissions-free commutes and a certain electric grid balanced usage, if not others. Also, with a high PHEV penetration in the fleet mix, QC and the future HPC netwoks do not need to be so dense, soon. On the Tesla subject, this might be the ugly-duck land, since that more than 3000 units in Denmark have Supercharging free-fee capability for life and none of 11 Supercharger sites in the country started to receive the upgrade to CCS plugs, rendering Model 3 ownership muted so customers willing to move to a newer and cheaper product either new to the brand or moving from an existing Tesla might not be that many, I shoot for less than 200 Model 3 registrations in 2019. There are already 332 ordered in Denmark and orders will obviously continue to come in, so certainly not less than 200. Based on this document which shows the number of Model 3 orders in each European country, I think more than 350 units will be delivered in 2019. 332 are already ordered (and it gets regularly updated). Car registration tax is very high at up to 150%. BEV get a large deduction on that tax, but hybrids get the same. This makes a lot of people get the hybrid to get a nicer car for less money. Many of which are not even plugin. Denmark is another country ruled by PHEV with some cheap BEVs thrown into the mix. I would be surprised if Tesla can sell 350 Model 3s there when in 2019 they couldn't sell many Model S or X. 350 would be 7.63% of 2018 market. I say 100 if they are lucky. There are already 332 ordered, and that number will continue to soar, I'm sorry but your estimate seems really wrong.